Looking for a new So-Cal stay? 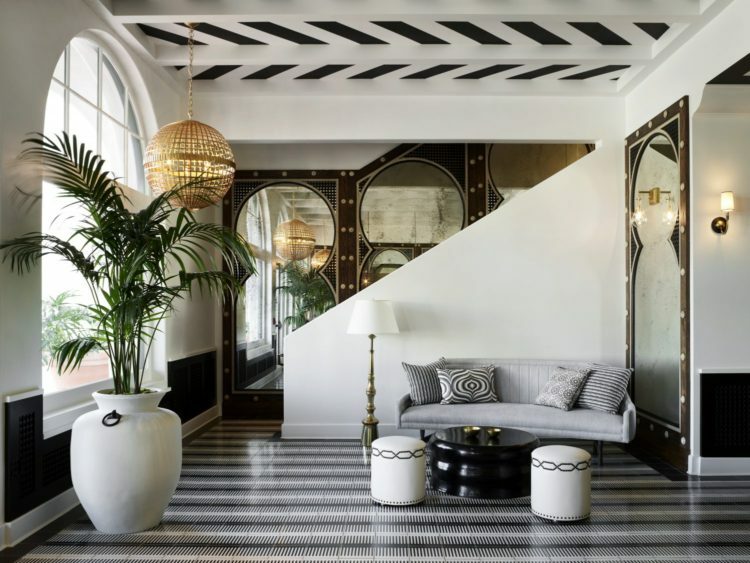 Santa Barbara recently welcomed Hotel Californian, who’s look is new but its history is not. Originally built in 1925, the building suffered the effects of an earthquake before having to close down for repairs. Afterwards, the rebuilt hotel was sold several times before entering a slow decline following the end of WWII. 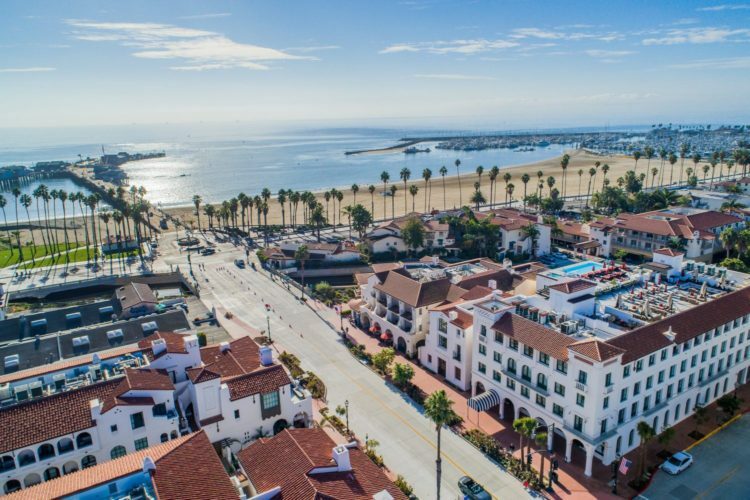 Today, the hotel has risen again at the intersection of State and Mason Streets, just 20 minutes from the Santa Barbara Airport. Opened in 2017 and made up of three buildings on three corners, the four-story Californian building is located on the southwest corner and has been rebuilt behind the facade of the original Hotel Californian. The Californian building houses half of the guest rooms, the spa, fitness center and the rooftop deck and pool. Two additional buildings, The Mason and The State buildings are home to more guest rooms, and event and social spaces. 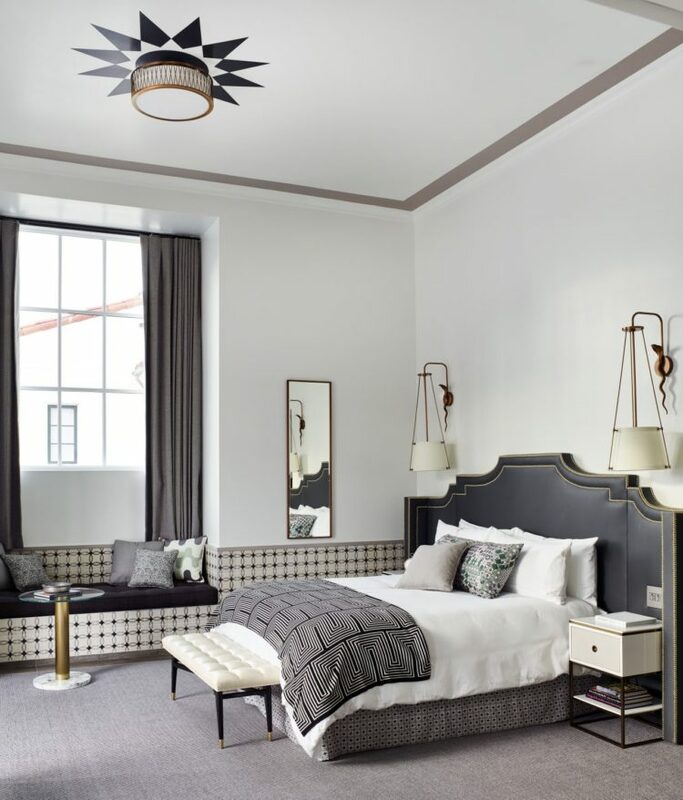 Designed by Martyn Lawrence Bullard, the hotel features a mix of its original Spanish Colonial Revival architecture with Moorish-themed interiors. 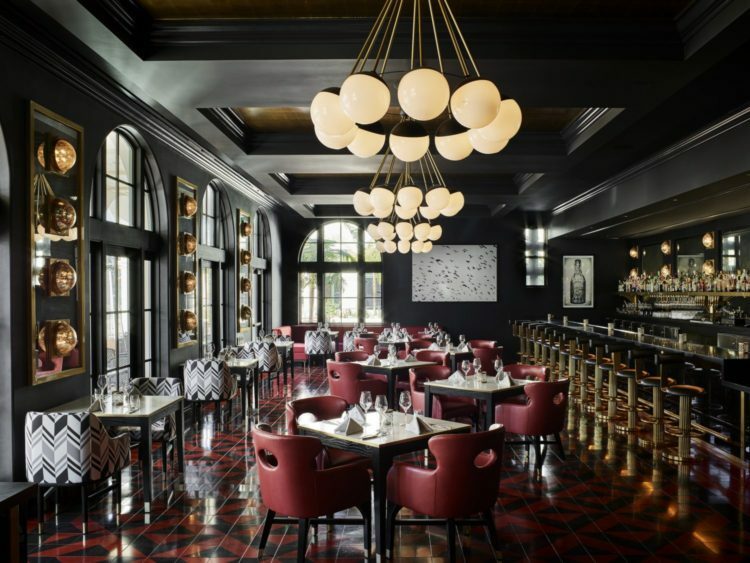 Decor includes chic, modern furnishing and finishes like gilded snake sconces, concrete-tile wainscoting and a custom cocktail bar. The hotel’s 121 residential-style rooms are finished in four color schemes including yellow, terracotta, emerald green and eggplant. Patios, verandas and balconies offer views of the ocean and city while courtyards and paseos add to the Spanish decor. To dine, Hotel Californian’s signature restaurant Blackbird serves up Mediterranean and contemporary American cuisine sourcing local ingredients and wines. For a more casual meal, Goat Tree is a pedestrian-friendly patio with al-fresco dining. 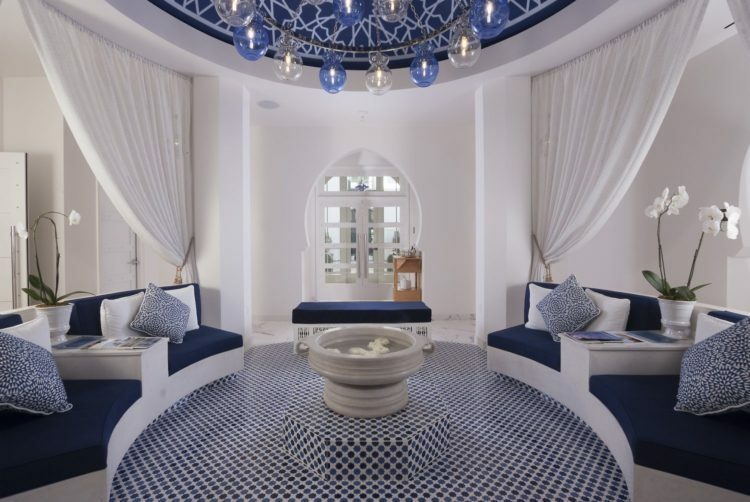 Additional amenities include Spa Majorelle, aMoroccan-inspired spa exuding an exotic ambiance with blue and white-tile decor; a fitness center; a high-end fashion boutique; and a rooftop and pool deck. The 1,300-square-foot deck has 360-degree views, a pool, Jacuzzi and an observation deck, that can double as an event space. Additional spaces include a plaza lawn, ballroom and meeting rooms.